It is the secret of the guerilla force that, to be successful, they must hold the initiative, attack selected targets at a time of their own choosing and avoid battle when the odds are against them. If they maintain their offensive in this way, both their strength and their morale automatically increase until victory is won. As a corollary, it must be the aim of the counter-guerilla forces to compel guerrilla forces to go on the defensive, so they lose the initiative, become dispersed and expend their energy on mere existence. That Indian-American Nikki Haley is the most popular member of the Trump administration in her own country has now been demonstrated by reliable polling. That she is also the most popular Trump official in the country of her parents is only conjecture, for now—take a hint, Indian pollsters!—but the anecdotal evidence is substantial, and growing. Haley gets more ink and screen time on Indian media than her predecessors as U.S. ambassador to the United Nations, and more than any other current Indian-American politician. And I can attest from personal experience that her name comes up more often in Indian political salons than that of any American not named Trump. This is not a small achievement, since the field of Indian-American politicians is now crowded with prominent figures. The Trump administration has more Indians in senior positions than any that has gone before, including Ajit Pai, Raj Shah, and Seema Verma. And among the cohort of Indian-Americans in the Democratic Party are rising stars like Kamala Harris, Preet Bharara, Ro Khanna, Pramila Jayapal, and Raja Krishnamoorthi. Charles-Maurice de Talleyrand, Napoleon’s famous foreign minister, prescribed a basic rule for pragmatic foreign policy: “by no means show too much zeal”. In India’s case, oozing zealousness, gushy expectations and self-deluding hype have blighted foreign policy under successive leaders, except for a period under Indira Gandhi. Zeal has been to India’s male prime ministers what grand strategy is to great powers. India has rushed to believe what it wanted to believe. Consequently, India is the only known country to have repeatedly cried betrayal, not by friends, but by adversaries in whom it reposed trust. Has India played into China’s hands in Wuhan? Charles-Maurice de Talleyrand, Napoleon’s famous foreign minister, prescribed a basic rule for pragmatic foreign policy: “by no means show too much zeal”. In India’s case, oozing zealousness, gushy expectations and self-deluding hype have blighted foreign policy under successive leaders, except for a period under Indira Gandhi. Zeal has been to India’s male prime ministers what grand strategy is to great powers. India has rushed to believe what it wanted to believe. Consequently, India is the only known country to have repeatedly cried betrayal, not by friends, but by adversaries in whom it reposed trust. India’s foreign policy since Independence can actually be summed up in three words: hug, then repent. Taliban Narratives, by Professor Thomas Johnson, explores Taliban and U.S. communication cultures by analyzing narratives, propaganda, and stories between 2001-2011. Johnson decodes the Taliban’s master narrative, information operations, target audience, and their propaganda tools such as circulars, shabnamahs (night letters), internet accounts, graffiti, poetry, and chants, which he refers to as cultural artifacts. He argues the Taliban, unlike the U.S. and coalition forces in Afghanistan, have culturally relevant information closer to the values held by the local population. Aiming at changing the emotions and perception of people, Taliban campaigns target rural Afghans by focusing on local issues. Russia Learned Nothing in Afghanistan. Neither Did America. During the early days after the 9/11 attacks and the initiation of the U.S. intervention in Afghanistan it was relatively common to reference the woeful Soviet experience in that country. Here was a clear paradigm of what not to do in order to avoid getting stuck in a quagmire. Surely, American leaders would be more adroit. By employing advanced U.S. technology along with a more sensitive effort to win “hearts and minds,” the Taliban—what was left of it—would be quickly vanquished. Violence once again grips Afghanistan, with the Taliban, the Islamic State and other terror groups carrying out deadly attacks and kidnappings across the country. Last month, the Taliban announced the beginning of its annual “spring offensive,” and this past weekend bombed a mosque that was being used as a voter registration center, killing 14 and injuring dozens more. What follows is a section of The Cipher Brief’s 2018 Annual Threat Report, which breaks down the greatest threats facing the United States and the world at this point in time. For more information on the full report, please click here. Bottom Line: The Afghan Taliban is mounting an increasingly lethal insurgency across Afghanistan, as both U.S. troops and Afghan Security Forces face near-everyday violence throughout the country. 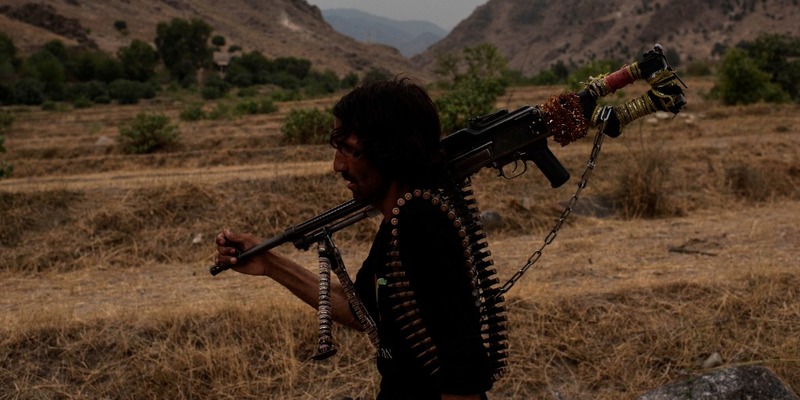 With the Taliban gaining momentum and reasserting control in remote, loosely governed parts of the country, the window for reaching a negotiated peace to end the ongoing conflict is rapidly closing. In a lesser-known novel, “Claudius Bombarnac,” Jules Verne describes the adventures of the titular foreign correspondent as he rides the “Grand Transasiatic Railway” from the “European frontier” to “the capital of the Celestial Empire.” A cast of international characters, by turns comical, curious and shady, accompanies the French reporter by train from the Caspian Sea to Peking, narrowly escaping bandits and delivering a mysterious cargo. When first published in 1893, the book was futuristic fiction. There was no continuous rail link across Eurasia. There still isn’t, but 125 years later China now envisions financing and building multiple such overland routes (with much faster trains). That’s for the “belt” portion of what it calls the “One Belt, One Road” initiative: It is also developing a string of new ports, from the South China Sea through the Indian Ocean to Africa and the Mediterranean. The prospect that President Xi Jinping could remain in power indefinitely has caused much consternation outside China. But within China, and among many serious observers, the elimination of the constitutional term limit on presidential incumbents has attracted a more positive, or at least nuanced, response. In the West, government accountability is closely identified with democratic elections. In China, it is a function of how – and how well – the government responds to and protects the needs and interests of the people. BEIJING – China’s recent constitutional amendment eliminating the term limits for the president and vice president has left much of the West aghast. Critics fear the emergence of a new and unaccountable dictatorship, with President Xi Jinping becoming “Chairman Mao 2.0.” This response is more than a little inappropriate. 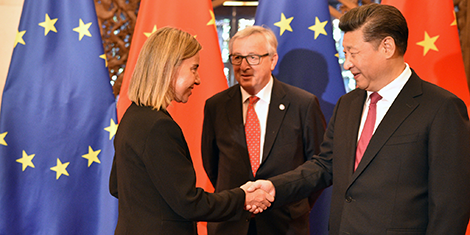 European attitudes towards China and its Belt and Road Initiative are changing. While the People’s Republic under Xi Jinping is the only country in the world pursuing a global vision, distrust of China’s expanding influence is growing. As a consequence, the European debate about China is becoming increasingly emotional with interpretations fluctuating between alarmism and reassurance. Ideas about the ‘essence of China’ and expectations that the country should fit into the liberal order according to Western standards, however, threaten to limit Europe’s scope of action in dealing with the People’s Republic. In order to develop strategies for a confident German and European policy, China’s current global political approach should be considered systematically. Based on the features of China’s ‘connectivity politics’ (Konnektivitätspolitik), Germany and the EU could formulate policy options that go far beyond the realm of infrastructure. Foreign relations continue to rapidly climb the political agenda in China. A stable external environment is key to the growth of the Chinese economy and domestic stability. Intensified tensions between a rising China and its neighbors as well as the United States raise the stakes in Beijing’s expression of its views on the global stage through the use of economic, political and military means. To that end, recent, unconventional elevations of senior career diplomats were major steps in streamlining China’s foreign policymaking, cementing a global leadership role for Beijing. These moves represent a massive reinforcement of the Communist Party of China’s (CPC) strengthened, centralized role in shaping and implementing foreign policy. They are some of the greatest treasures of Tibetan Buddhist culture: ancient murals showing the life of the Buddha and the secrets of meditation. Many are hidden in remote monasteries or temples whose walls are crumbling, but a remarkable project has recorded the paintings before they disappear for ever. The American photographer and writer Thomas Laird spent a decade living among yak herders, farmers and monks while travelling across the Tibetan plateau in search of masterpieces that few have been able to see, let alone photograph. The result is 998 copies of Murals of Tibet, an enormous – more than 2ft-long – publication. All copies have been signed and blessed by the Dalai Lama, whose first lessons in Buddhism came from some of the murals before he could even read. Cooperation between AI sectors in China and the United States would yield substantial benefits, not only for both economies but worldwide. In the absence of constructive government leadership, it is up to global AI communities—in research institutions and companies—to establish alternative channels for international AI governance and other forms of cooperation. Cities have been the foci of culture, trade, and political life throughout history. When the social contract breaks or politics fail, they have been the focus of conflict and violence as well. 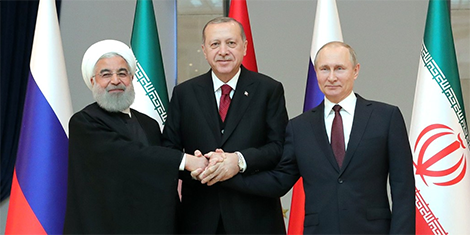 In the vacuum of power, terrorists, rebels, and criminals time and again seek to reset the political, social, and economic equilibrium through violence. This violence has always occurred in cities but as the world becomes more urban, cities become inseparable from global conflict. This central role was recognized by Algerian separatists during the Battle of Algiers and its future importance forecast in Carlos Marighella’s Minimanual of the Urban Guerrilla. From the Casbah to urban Brazil, to the streets of Europe and alleys and hotels of Beirut, Aleppo, Jerusalem, Nairobi, and Mumbai, urban terrorism continues to evolve. The Kurdistan Regional Government (KRG) of Iraq, has autonomously governed a corridor in the North of Iraq for some time now. Following the rise of the Islamic State, Peshmerga forces (the military arm of the KRG) were instrumental in halting the spread of the Islamic Caliphate. Baghdad’s Iraqi National Army, trained and supplied by the United States, fled from ISIS advances, losing swaths of lands and allowing droves of military equipment to fall into the hands of the Islamic State. In contrast, Peshmerga forces gained lands and, as I witnessed in person on a military base between Erbil and Mosul last year, they were able to capture equipment from the Islamic State—most notably makeshift armored suicide trucks. Off the coast of Western Australia, a battle between mega giants is unfolding. 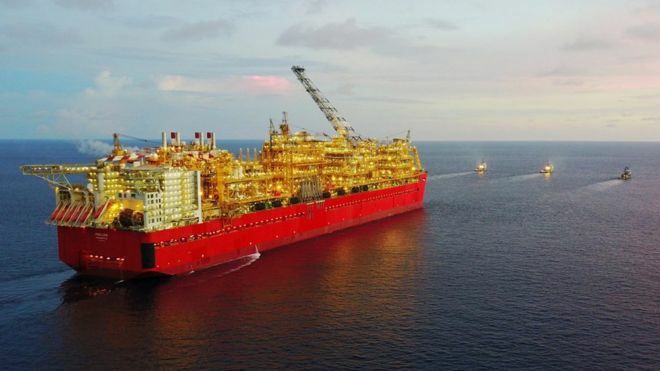 The combatants involve the world's biggest semi-submersible platform, the longest sub-sea pipeline in the southern hemisphere, and the largest floating facility ever built. They're all there for the same reason: natural gas - and they're hoping to start drawing it up this month. As several countries begin to move away from coal as an energy resource, this alternative fossil fuel, which produces 50% less carbon dioxide for every unit of energy generated, is increasingly in demand in our energy hungry world. Consumption is forecast to rise to 177 trillion cubic feet (tcf) or 5,012 billion cubic metres by 2040, up from 124tcf in 2015, says the US Energy Information Administration. On 1st March this year Vladimir Putin finally delivered his long-awaited annual poslanie, or State of the Nation speech, to the Federal Assembly. With pictures and video clips Putin described six weapon systems that had been developed or were being developed in the following order, the 'Sarmat' heavy ICBM, a nuclear-powered cruise missile, a nuclear-powered and armed undersea drone, a hypersonic missile, 'Kinzhal', launched from a supersonic aircraft, the 'Avangard' glide vehicle for an ICBM, and a laser weapon of unspecified purpose. Here each system will first be reviewed in detail in the approximate order of its likelihood to enter combat service. Given the secrecy that has hitherto shrouded most of the weapons, the information presented has had to be assembled from multiple sources. Then the reception of the poslanie will be considered, together with some issues arising from it, not least why it was delivered in the form it took. China is intensifying its nearly two-decade push to meld together the civil and defense economies through what officials term “civil-military fusion”. On March 2, 2018, CCP General Secretary Xi Jinping chaired the third meeting of the recently formed Central Commission for Integrated Military and Civilian Development (CCIMCD), where he emphasized the strategic importance of ‘unifying’ national power through reducing barriers between the commercial economy and defense industrial base (CCTV, 03/02). Days later, speaking to a delegation from the People’s Liberation Army (PLA) and armed police at the 13th National People’s Congress, Xi called civil-military fusion (CMF) a “prerequisite” for realizing the goal of building a strong military (Xinhua, 03/12) . One of the missions of LENS is to help to build the next generation of national security leaders, and part of doing that is giving them a voice in a variety of venues, including Lawfire. 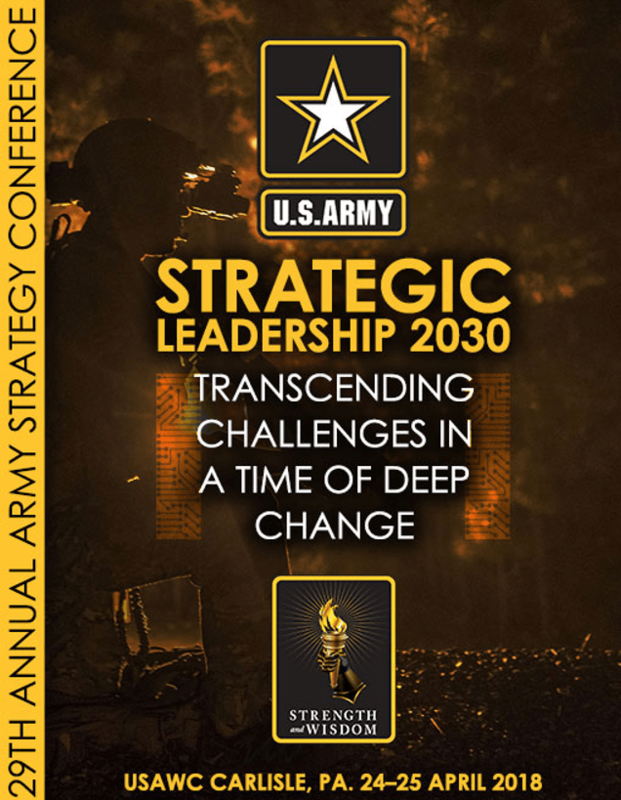 I urge you to seize this opportunity to get some insights about the future of military leadership from one of the Army’s most brilliant young thinkers. Some more context: The panel on which Matt served included USAWC Professor Chuck Allen and Dr. Sarah Sewall of the Johns Hopkins School of Advanced International Studies. It was asked to address the following questions: Question/Prompt: What will it mean to be a leader in the new environment? What does the MacArthur, Marshall, or Eisenhower of 2030 look like? Does the USAWC construct of strategic leaders, theorists, and practitioners still make sense? What will strategic leadership demand in a ‘post-truth’ environment saturated with autonomous systems, pervasive transparency, and artificial intelligence? 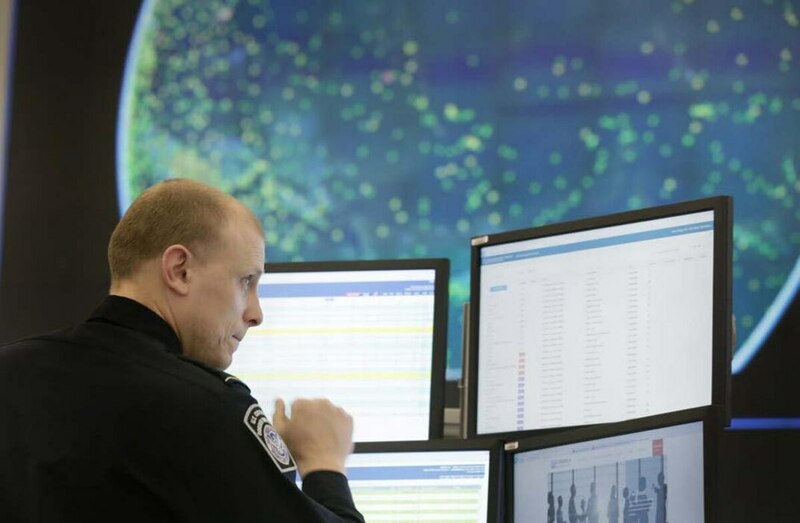 A U.S. Customs and Border Patrol officer conducts global observations of air traffic and trade activities at the National Targeting Center in Sterling, Va. New software tools promise to make it easier to spot high-risk activity at the border and on the battlefield. 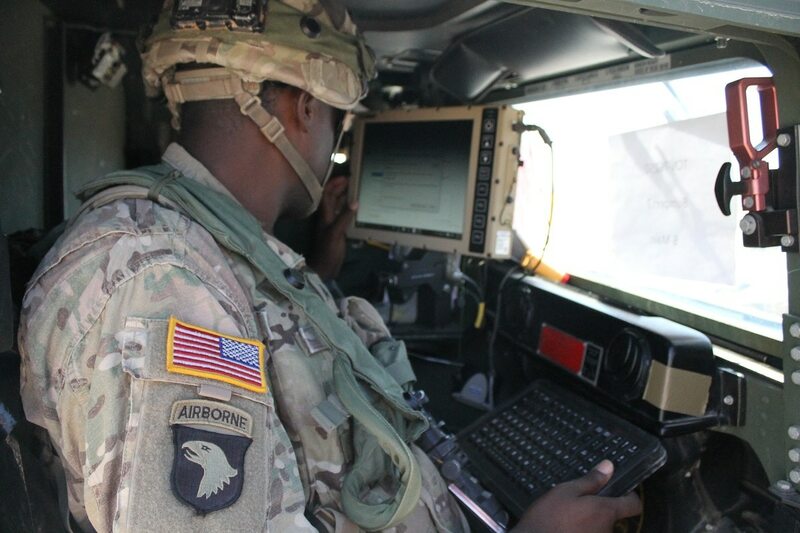 (U.S. Customs and Border Patrol) The problems of border control mirror the challenges faced by battlefield intel analysts. Both have a fundamental need to scan vast crowds of faces, to peer into containers and vehicles and make snap assessments about likely risk. Unisys recently unveiled a software product intended to enhance border agents’ ability to make the right call, even when faced with high volumes of information. Military experts at the company say the technology could form the basis for similar battlefield solutions. Contributor Perspectives offer insight, analysis and commentary from Stratfor’s Board of Contributors and guest contributors who are distinguished leaders in their fields of expertise. The state of physical fitness in the United States has long been a topic of concern among the nation's leaders. Declining fitness measures on the part of military draftees played an important role in prompting President Dwight Eisenhower in 1956 to establish the President's Council on Youth Fitness. In 1960, John Kennedy, then the president-elect, felt so strongly about the subject that he wrote a multipage article, "The Soft American," for Sports Illustrated.